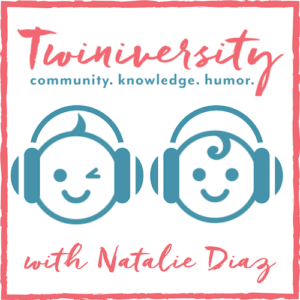 Here’s what our Twiniversity community had to say! 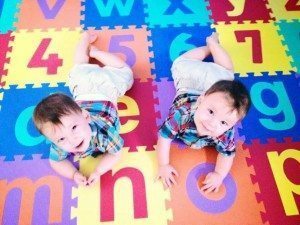 – Daycare for my twins will cost 2/3 of my whole paycheck. But for us, my job is our access to health insurance, so quitting is not an option. Honestly, for me, I just couldn’t stay home. Lord knows I adore my children, but for me, I need the time away too. I’d say let your heart be your guide, and do what is right for you, using logic and emotion! You’ll make the right decision, mama. – Depending on the job and the finances, I’d say go with what you really want to be doing. Some moms like work and feel like it gives them a break from twin craziness, others want to be at home with their kids so as not to miss too much. There’s no right answer. I couldn’t decide either so I worked part-time and it’s been a good balance. – I do not work…..but honestly…no matter how much I love my twins…staying home is really hard for me. Really hard. Sometimes I feel like I’d be a better mother if I worked….the twins are exhausting emotionally…I feel like I’m losing touch with myself…I don’t have adult conversations anymore….and having at least a part time job would give me a break. – How old are they? I felt the same way until my oldest started school. I’ve met new people and I’m on the PTA. It’s way easier than when they were all little and we didn’t get out of the house much. Hang in there. Snuggle them as much as they let you, and know that one day, they’ll let go of your hand, walk away, and not look back. – I’m not gonna lie. It was hard. I lost myself a bit. I loved my job, my career. I still miss it and my girls are 2. I hope to one day go back when they are all in school. I feel guilty daily about wishing I still worked. I love my children and I know there are moms who would die to be home with their kids. We are all different. But this is the motto I live by today: “There is a season for everything.” This is the season that I am supposed to be home with my girls. And I am ok with that. Soon there will be another season and I may wish for this one again. – This is why nursing is so cool! I was full time on nights — definitely not going to be able to do that once these girls are born! So I am going back per diem to keep my skills up. Plus I love my job! My facility requires per diem nurses to work a minimum of 4 shifts/month, but I can work more if I sign up for them. Such an awesome option (thankfully insurance is covered through my hubby’s work). 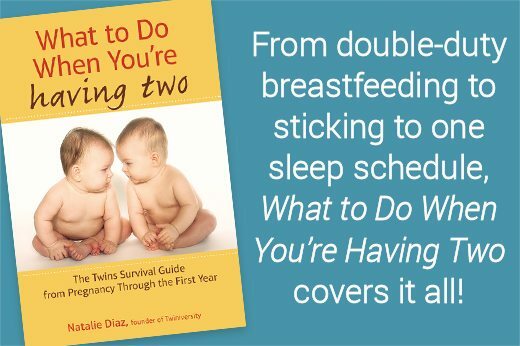 – I stayed home after my twins were born. Not only was daycare going to be expensive but in this area it is impossible to find quality care for two infants. It has worked out for the better. My twins are three now and require speech and physical therapy. Even if I had a job, it would be limited hours so I could be available for various appointments. I would love to be working. At the end of the day you do what you know is best for your family and push whatever guilt to the back of your mind. – I quit when our twins were born, and I made significantly more than my husband. I also have an advanced degree, but that doesn’t matter to me in the grand scheme of things. The best thing I ever did was decide to be home with them (and my oldest). This time with them is temporary, but completely worth it. I would get rid of every single splurge to remain home if things got tight (more so than they already are). 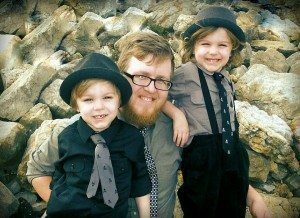 – My wife made more money than I did when she got pregnant, and she also has great health insurance, so quitting to stay home with my twin boys was hardly a thought. I miss working at times, but being able to be a stay at home father is the most wonderful job in the world! I feel sorry for fathers who aren’t able to spend the time with their children that I do. – My husband wasn’t working when we got pregnant. It make more sense for him to stay home with them than to work to pay for daycare. He really liked it (and so did I because I knew they were cared for and treated well) then when they went to school he got a job. 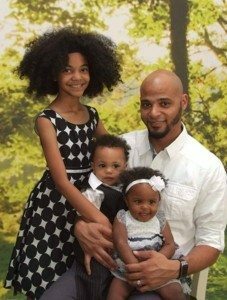 – I quit my job and was able to find a work-from-home job so I could still help provide for our family but be with our girls. – I was completely torn as well. 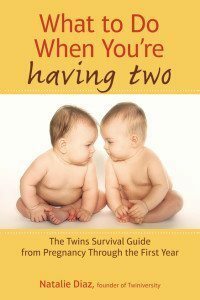 My twins are 12 weeks now. I worked out a part time arrangement and it’s great. Maybe check into a part time arrangement. – I didn’t exactly choose to give up my career as when we moved back from Australia. I didn’t end up staying with the company that sent me to run the office there for various reasons but I actually LOVE staying home with my twins and I never thought I would. I struggle with whether/when I should go back to work because I really enjoy spending my days with my little ones. I plan to go back to work eventually and know I’m taking a risk it will not be on the same track as before but I think it’s worth it. It’s a really tough choice (if you get to choose) and there’s no right answer. – Personally, there is no amount of money worth missing my children’s childhood. Every family is different though. My husband and I own a business and I was the full time business manager. However, we take very little income from the business and would’ve spent the majority of it (over 75%) on childcare. For us it absolutely made sense for him to just handle all of the business (and work 12+ hour days) and have me stay home with the kids. – Do you have any vacation time available? My suggestion would be to spend a couple weeks being a SAHM and see how you like it before you decide to quit your job. Being a SAHM is the hardest thing I’ve ever done and it never ends – it’s 24 hours a day. Some days are fantastic and some days I wish I was back at my old job. Good luck! 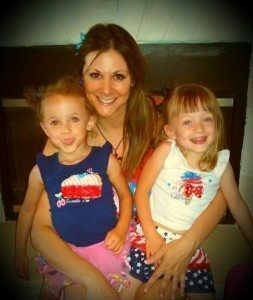 – I put my last 8 classes of college on hold so I could stay home with my twin daughters but I’m licensed as a child care provider so I care for a few other children as my “job” until they start school. – We have a singleton and twins and daycare would’ve taken up my whole check. I resigned from my job at a bank, which I loved, on my 14th anniversary. My plan was to go back after a couple years, but I love being home so much that I haven’t. I’m treasurer of the PTA, takes care of my need for banking, and I’m able to help my daughters class. My boys start preschool in the fall and I’m looking forward to being able to help even more at the school. The freedom is priceless. If someone’s sick, I don’t have to worry about calling in to my job. If my husband has to travel I don’t worry about who will help me get kids back and forth to daycare or school. I missed the adult interaction at first but now that I’m more involved in the school, I’ve made friends there. And the best part is that my friends now have kids my age and we all help each other so we can go to doctors appointments or job interviews or field trips or whatever. My mommy friends are golden. I wouldn’t trade this time at home for anything. It goes by way too fast, and I’m here for all of it. – My plan was to stop working since what I would make would probably go to child care and I didn’t want to just trust anyone with my babies. After 6 months I felt stuck in a cave so I made a decision to go back to work part time. Thank goodness my job is very flexible so I only work on my husband’s three days off. It definitely brought my sanity back as well as a little bit of extra money. – I thought about it but then found a cheaper daycare that I loved. Glad I didn’t quit as it is hard to start over. – I had a hard time at first but recently started working from home so I can have the best of both worlds. I needed to work mostly to keep my sanity and grow personally, but the extra income is certainly a bonus! – We moved to a smaller house to pay for childcare. Do what’s best for you long-term. – We are about to move again and then I will be restarting my mobile pet grooming business. At first I will work part time… Find an in home sitter 2 days/week and work on Sunday’s when my husband is home. We will start there and as I build clientele and demand I may have them in full time daycare. I am happy to be able to run my own business and can’t imagine trying to make it worth it working for someone else, so GOOD JOB to moms who can! ALSO we moved 1.5 years ago and I was not able to work in that time and staying home with just my 3 year old (7 year old is in school) was very, very hard. I got depressed and felt like “just a mom”. All you moms are amazing and it’s hard either way… Staying home or working. – I became a SAHM after the twins were born because of the cost of childcare and not wanting to miss anything, but that only lasted 8 months because I LOVE being out around people (adults). So, my husband and I made a budget of what my salary needed to be at to have child care and the current expenses we had then. I was able to work at a school to be there when my older kids got home from school and have the summer and winter breaks with them as well. I hope you can find something that works for you and your family. – We are lucky to live in a country where I got a year of maternity/parental leave while Daddy worked. We tried many child care options and in the end it is Daddy who will be staying at home. 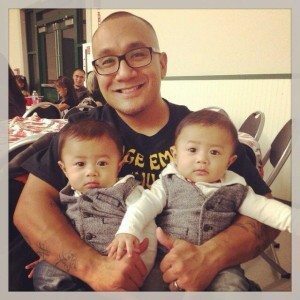 I like how the post is about mom’s but in today’s society Dads can do it now too! The twins’ dad is very excited and so am I. It didn’t make sense for most of his income to go to childcare. And he worked Friday evenings and Saturdays to decrease childcare needs because I work M-F 9-5. But then we never saw each other. So after 4 months he is now going to stay at home. 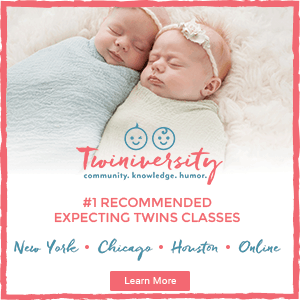 – I have 11 month old twins. We live in a tiny town with limited childcare options. After doing a detailed cost analysis, my husband & I decided that the cost of childcare and other expenses associated with me working wasn’t worth the extra income I would be bringing home. I’m so glad we went with this decision! It was difficult the first two months at home (I didn’t realize how much socializing I did at work), but now I love it! We also ended up saving tons of money by me staying at home; I manage our finances more effectively than ever before, I have time to cook 99.99% of our meals so that we hardly eat out anymore, I have time to coupon/bargain hunt, I’m not wasting money on gas each week, and I overall made a commitment not to buy things we don’t need. We live simply, gave up our addiction to material possessions, so now we are debt-free while still managing to put a big chunk of my husband’s income into savings. I do plan on returning to work once the kids start going to preschool in a couple of years. – Childcare costs, which are very high in the early years, are temporary. By five, with Kindergarden, they are slashed dramatically. Just something to think about if you want to stay in the work place. Five years goes by fast!